Get up to three games FREE when you buy a Phantom Gaming Radeon™ RX Vega, RX 590, RX 580 or RX 570 graphics card. 3-phase motor fan delivers an up to 23% higher airflow for the better cooling capacity. Reduce friction, allow fan to run smoother and with a lifespan up to 50,000-100,000 hours. Compared to traditional design with oil leakage problem, it improves lifespan by 30 to 40% and with an enhanced cooling efficiency significantly. 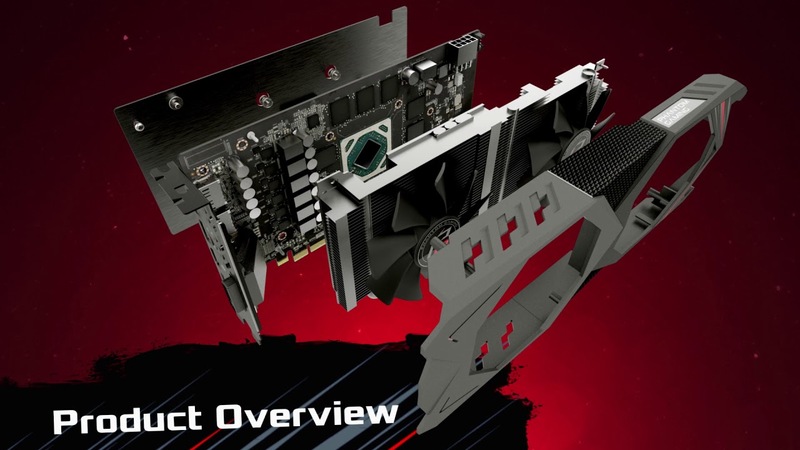 With the Phantom Gaming look, the stylish metal backplate on the Phantom Gaming graphics cards makes it more fancy in visual and solid in construction. Otherwise, the thermal pad at the backside also helps to enhance the thermal efficiency.